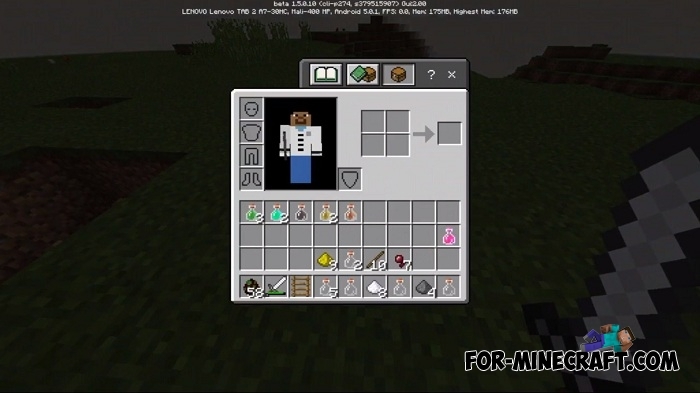 This is the first addon to implement new types of potions in Minecraft Bedrock Edition without replacing vanilla ones. This way you will get even more different potions with effects based on existing blocks, objects or game elements. 8 new potions can be taken from witches, just defeat them and pick up the drop. 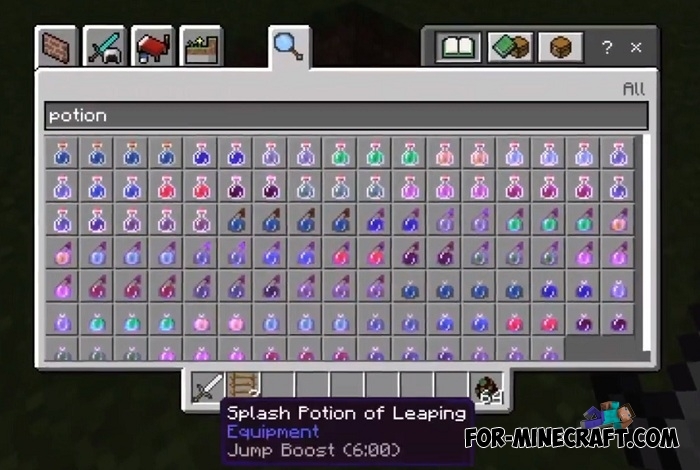 In fact, many of these potions will not be used at all, rather just try once or twice. These potions are great for mini-games in MCPE, where you just need these effects, impossible without addons. 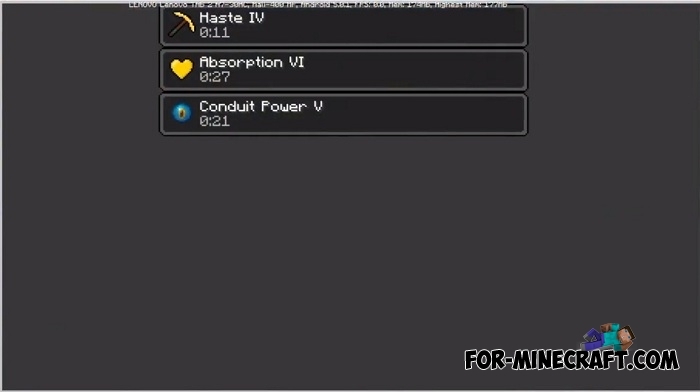 How to install the Potions Plus addon?